Providing a dependable, safe path to ground is an important part of any electrical installation, and is required by the National Electrical Code. 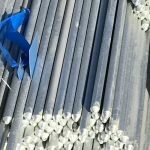 Electrical contractors and utilities nationwide depend on galvanized ground rods for long lasting protection from the hazards of electrical shock. Electrical grounding rods that are hot-dip galvanized by Galvan Industries have a minimum zinc thickness of 3.9 mils (99.06 microns) per ASTM A-123. 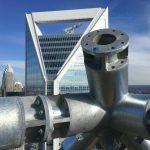 The estimated service life for galvanized steel with 3.9 to 5 mils of zinc coating in the harshest soil conditions is 35 to 50 years and in less corrosive soil, 75 years or more. 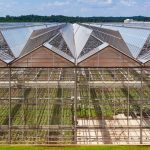 This makes galvanizing an excellent protective coating for ground rods, and for any steel materials driven in soil or buried in soil or concrete. Find out how Galvan can extend the life of the steel in your next product or project.